Pumpkin carving isn't just for youngsters, (though children do particularly enjoy this seasonal past time!) this is a guilty pleasure for young and old alike, and we can allow ourselves to indulge in a tradition that dates back centuries. 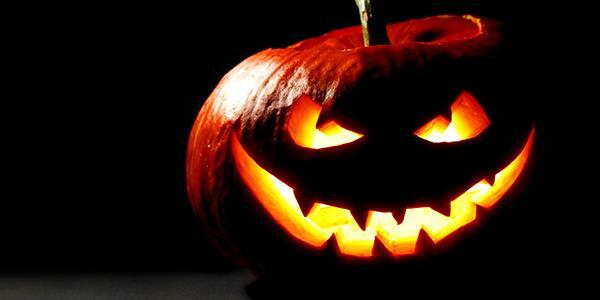 It is thought that carving pumpkins has been a tradition since long before Halloween became popular. Carving turnips was supposedly a method used in the British Isles to ward off evil spirits at the end of the harvest season. Turnips became pumpkins, which were more available in America at the time, and the tradition merged with the legend of Jack-O-Lantern, who is said to have used a candle inside his turnip in order to light his way one cold, dark night. It has only been as recently as the 19th century that carved pumpkin lanterns became synonymous with the holiday of Halloween. That being said, the tradition has really taken off and every year you will see incredibly creative displays in windows, on doorsteps, porches and in gardens. 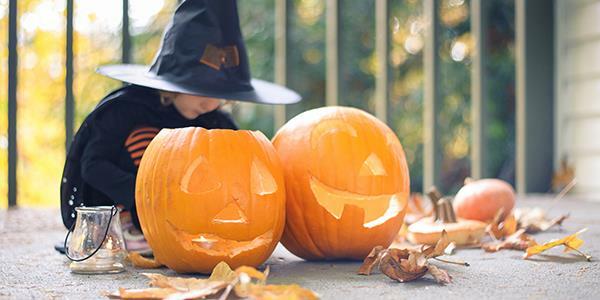 So – to get in on the action – Lantern & Larks are running their pumpkin carving competition this year with the hopes that our guests will have some fun, make some mess and be in with the chance of winning a £150 voucher! We are providing pumpkins onsite at each of our glamping locations for you and your family to do with as you please. Be as creative as possible, snap a picture and post it on our facebook wall. We'll pick a winner and you'll be sent a £150 Lantern & Larks voucher to use against your next holiday. Find full terms and conditions here. Why not take a look at some of our favourites from last year's competition to see how creative our guests have been? Click here. Choose your pumpkin! - They are in all of the supermarkets by now so you'll have a good choice of size and shape. Or, if you're onsite at Lantern & Larks, they'll be provided. Cut around the stalk to remove the top, scrape out the innards, and you're good to go. Remember to be careful with the cutting and children should have a responsible adult to help them. The 'scary-face pumpkin' is a long standing favourite, and simple to do. As long as you're careful, all you really need to arm yourself with is a knife. Stick to straight lines and don't over-complicate things for yourself. 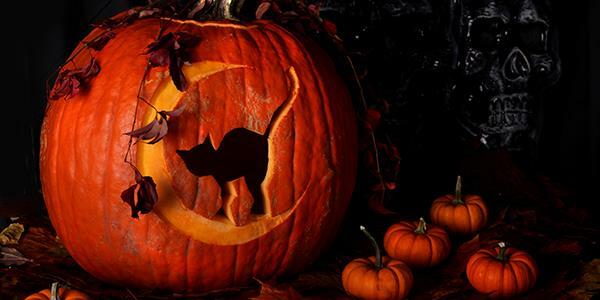 Use a funny shaped pumpkin to invent something unusual, or create an elaborate scene. There are some great examples out there of witches flying through the sky, wolves howling at the moon, cats, haunted houses and so on. You may find you want to get more inventive with your carving tools for this one; a sharp knife is good for the solid shapes, but if you peel just the top layer of pumpkin skin away you will be able to create different shades of light. Does it even have to be a picture? You could carve a word or a phrase instead! These are good ones for the front door step if you are expecting trick-or-treaters. 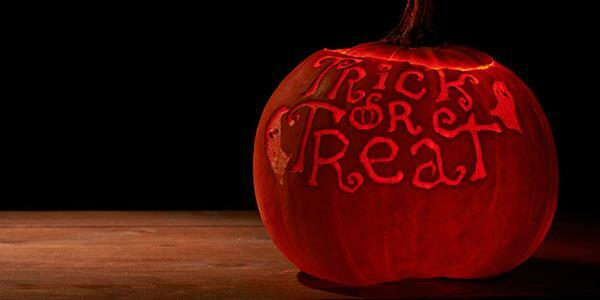 A simple 'welcome' carved into your pumpkin will let children know they can knock on your door. You will need a steady hand for these kinds of design, and a knife with a long, narrow blade. Fancy entering the competition? Find out all about it here. And good luck!